Outside measurements: 3-7/8" x 7-1/2"; Inside measurements: 2-7/8" x 6-1/4"
Holds about 8 oz. of butter. The service from Lehman's, along with the workmanship and quality of the butter mold, were exceptional. 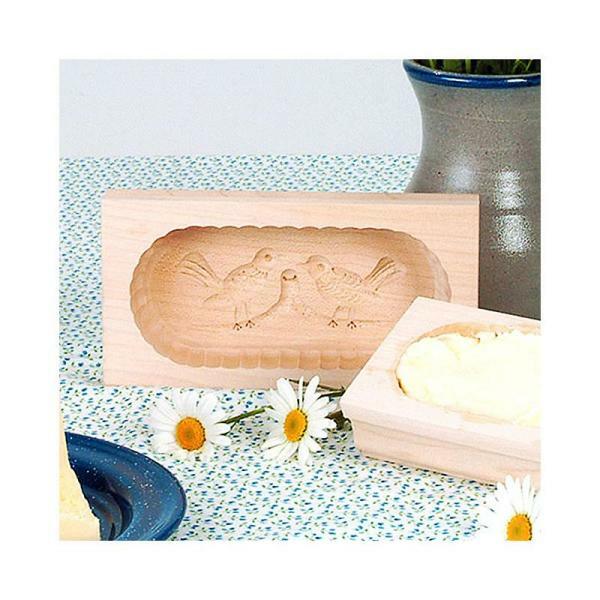 My one comment is that the carving design on my butter mold was not shown in any of the photos on the website. The catalog does indicate that the patterns may vary, but I was under the impression that all options would have been shown. I would have preferred one of the designs shown in the catalog/website.